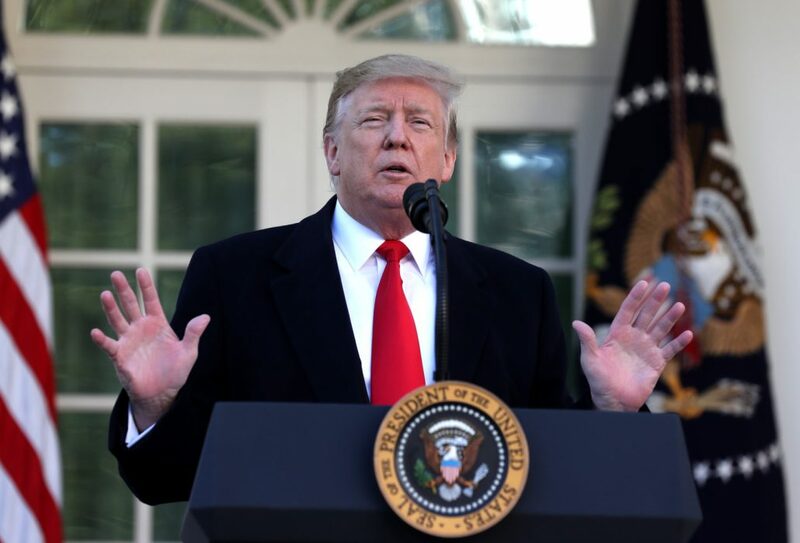 (Washington) – President Donald Trump announced a deal with opposition Democrats to temporarily reopen the US federal government, shut down for a record five weeks by a bitter row over funding for a US-Mexico border wall. US lawmakers and the White House were under intense pressure to resolve the impasse, as hundreds of thousands of federal workers headed into a second month without paychecks, and the political stalemate began to disrupt some of the nation´s busiest airports. While staunchly defending his wall project — which he claims is needed to keep out criminals and drug traffickers — Trump made no announcement regarding his demand for $5.7 billion to fund the barrier, a key promise made to his right-wing supporters. Instead, he said a “bipartisan conference committee” of lawmakers from the Republican-held Senate and Democrat-controlled House would set to work on the question of border security, with the issue of wall financing at the top of their agenda.